Once again going ‘beyond regional borders’ to save lives, the Tri-County Animal Rescue (TCAR) team returned today from two days of travel to and from Ohio County, Kentucky to bring back nine adult dogs (including two nursing moms) and 10 one-week-old puppies for safe haven, medical treatment, TLC and adoption at its Boca Raton center. 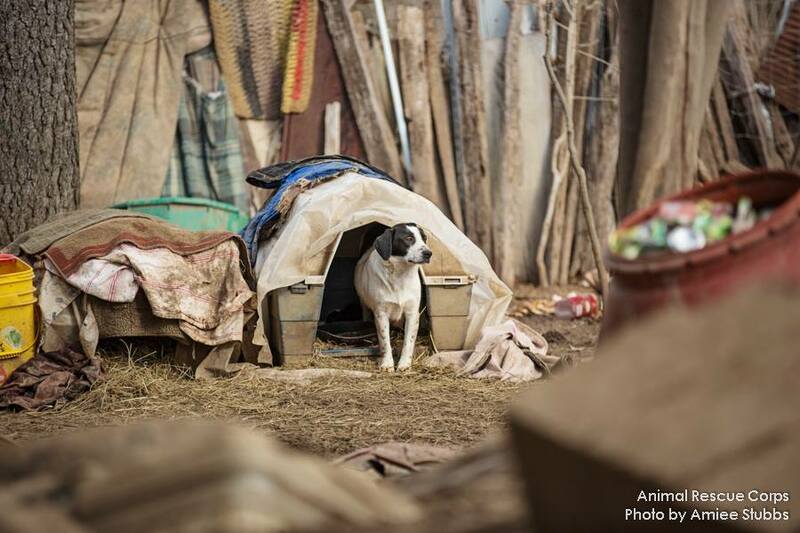 This is the second large scale “mission of mercy” TCAR has embarked upon in three months to aid Animal Rescue Corps … this time a hoarding-related case, previously (last November) for rehabilitation and re-homing from large, complicated puppy mill raid. 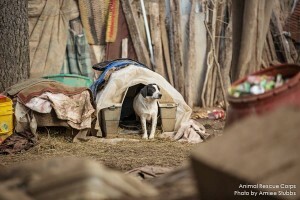 These dogs, including beagles, hounds, a great dane mix, and a black lab, had been living out in the cold on the property of a hoarder with little food, clean water or medical care…never had a true home, a soft bed or family to call their own (https://www.youtube.com/watch?v=YSVmeJn-Ars&feature=youtu.be). All will be vetted and evaluated before being available for adoption. Whenever TCAR learns of animals in distress, especially due to large-scale crises such as natural disasters, puppy mill abuse, or suffering such as this rescue mission, it dispatches its rescue team regionally in South Florida and beyond. Rescues support TCAR’s “adopt, not shop” mission noting that retail pet stores across the U.S. sell 500,000 dogs, while 5 to 7 million dogs enter shelters. and the cost of transport, staffing and medical care to prepare the dogs — especially nursing moms and their puppies — for re-homing can easily reach thousands of dollars. Since TCAR operates solely on donations, grants, sponsorships and event and thrift shop proceeds without any city, state or federal funding, it seeks donations to continue its live-saving efforts and 100% no kill operations for rescue, staffing, shelter maintenance, medical treatment, food and medicines, or adoption services. Saving lives in Palm Beach, Broward, Miami-Dade and Martin counties and beyond, TCAR is a protective haven to thousands of abandoned, abused or neglected dogs and cats from other facilities in South Florida, Treasure Coast and as far as Sarasota, Alabama, Tennessee, Oklahoma, Louisiana, Kentucky, the Bahamas and most recently abroad from the country of Turkey. A top-rated animal rescue center not limited to regional borders, TCAR has rescued more than 52,000 animals since its inception in 1996, offering homeless pets a welcoming forever home, either on campus or through carefully vetted adoptions. Sundays from 10:30 a.m. to 4:00 p.m. For frequent updates or more information on TCAR, visit tricountyanimalrescue.com; connect via facebook.com/TriCountyHumane, twitter.com/TriCountyAR, and Instagram/TRICOUNTYANIMALRESCUEFL.